Thomas Dunne Books, 9781250066237, 352pp. 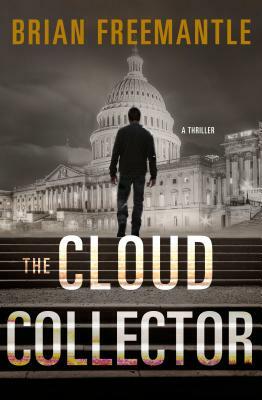 In The Cloud Collector, acclaimed spy novelist Brian Freemantle turns his expert's eye to the frontlines of today's war on terror: the cryptic world of cyber warfare. When Western intelligence services recognize that a global jihadist attack has been initiated, the United States and the United Kingdom--its primary targets--lead a desperate counteroffensive. Sally Hanning, a brilliant British MI5 agent, is assigned to assist the CIA task force. She must help them hunt down the enemy mastermind along an intricately disguised online trail. To do so, she entails the services of Jack Irvine, a guilt-burdened NSA code cracker, using enticements both personal and professional. Though they foil the terrorists' plans, the mastermind seems to elude the MI5 and the CIA every time. And as Sally and Jack prepare to head off a major, potentially devastating attack, they realize that the plot is far more sinister than they had ever thought possible. BRIAN FREEMANTLE is the author of more than thirty books, which have sold more than 10 million copies worldwide. He has been foreign editor and chief foreign correspondent for the (UK) Daily Mail and foreign correspondent for the (UK) Daily Sketch, among others. He lives in England.